717 Ultimate Black (formerly know as "Jet Black") is a high performance plastisol screen printing ink with a wide latitude for cure temperature. 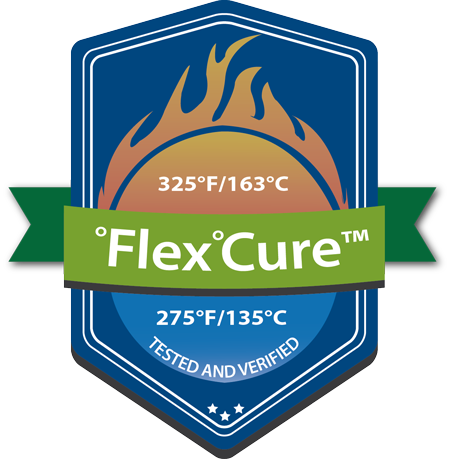 It can be cured at temperatures as low as 275°F, but will not be over-cured or crack when cured at 325°F. 717 Ultimate Black provides a deep black color that is very creamy, short-bodied and is easy to print on automatic or manual presses. 717 Ultimate Black can produce a matte or glossy finish, depending on the amount of ink laid down. 717 Ultimate Black was formulated to make printing opaque black easy, so hard printing is less tiring. The result is improved operator performance. Automatic printing equipment can be adjusted to lower pressure settings, thus improving screen life and squeegee durability. Please Note: 717 Ultimate Black is not a color-mixing black ink. For mixing colors, use 7536 Mixing Black. Ink Application: 717 Ultimate Black should be used right from the container without any modification. If modification is necessary, use 1% to 5% by weight 1099 Low Bleed Curable Reducer. Emulsion: Any direct or indirect emulsion, or capillary film in the 35 to 70 micron range. Test dryer temperatures before a production run. Wash test printed product before beginning production run. Recommended Storage: 65°F to 90°F. Avoid storage in direct sunlight and moist, humid air.